The spring riding season is a good time to take a look at riding gear to see if upgrades are needed and helmets are the best place to start. This spring, Harley-Davidson has partnered with industry-leading helmet manufacturers to create a lineup of new cutting-edge helmets that utilize the latest in technology and look as good as they function. Staying connected while on the road just got easier thanks to the new Boom! 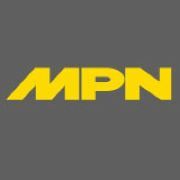 Audio N02 Full-Face Helmet (P/N 98365-19VX, $550). This advanced matte black helmet allows for innovative communication and sound experience with zero setup required. The built-in Sena 20S Bluetooth communication system links up to eight riders on the intercom and has integrated speakers and a microphone to pair Bluetooth-enabled mobile devices for navigation, favorite play lists and hands-free calls. Providing side coverage that will protect the head and face without compromising airflow or field view, the new Maywood Interchangeable Sun Shield H27 3/4 Helmet (P/N 98361-19VX, $160) offers a versatile three-in-one design to give riders options. 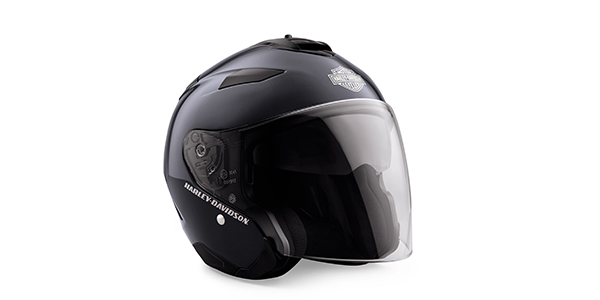 Riders can choose from three different looks thanks to the removable peak visor, side plates and face shield that allow for an adjustable experience. This versatile helmet features a retractable sun shield that deploys quickly and easily along with a face shield that offers 95 percent UV protection and anti-scratch coating. The new Capstone Sun Shield H24 Modular Helmet (P/N 98357-19VX, $250) gives riders full-face coverage but with the added benefit of a flip-up chin bar for easier communication. With an easily deployable retractable sun shield, this helmet features an advanced ventilation system for full front-to-back airflow to help flush out heat and humidity. The face shield offers 95 percent UV protection, an anti-scratch coating and uses the QuickSlide shield replacement system for quick, secure, tool-free removal and installation. This helmet is also compatible with the Boom! Audio 20S Bluetooth Helmet Headset. All helmets are DOT-approved and feature a fiberglass shell with a double D-ring chin strap. A helmet bag is included with each helmet purchase.